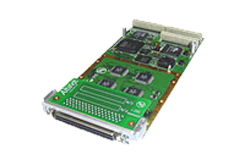 The ARINC PMC-A429 Interface Card and AltaAPI Support Software Represent the Latest ARINC 32-bit FPGA Protocol Engine Technology. Ideal for SBCs or carriers for VPX, VME and cPCI (Compact PCI/PCIe or PXI) - Commercial or Rugged/Conduction Cooled Systems. Encode and Decode almost Any ARINC-429 PHY Level Label/Word Signal. The First Card in the Industry to Offer Advanced Test Functions of Signal Generation and A/D Signal Capture. 4-30 ARINC Channels: Up to 16 Shared RX/TX & 14 RX Channels. Here you can find documentation pertaining to the PMC-A429. For additional documentation and software, please visit our secure download area. PMC-A429-4-T PMC with 4 Shared Tx/Rx Channels of ARINC-429 and 2 Rx/2 Tx ARINC-717 Selectable Channels (Each 717 Rx/Tx Replaces Two 429 Channels). Included: Thumb Screw SCSI I/O Connector (Must Use -T Series Mating Connector) and AltaAPI Software. PMC-A429-8-T PMC with 8 Shared Tx/Rx Channels of ARINC-429 and 2 Rx/2 Tx ARINC-717 Selectable Channels (Each 717 Rx/Tx Replaces Two 429 Channels). Included: Thumb Screw SCSI I/O Connector (Must Use -T Series Mating Connector) and AltaAPI Software. PMC-A429-16-T PMC with 8 Shared Tx/Rx Channels and 8 Rx Channels of ARINC-429 and 2 Rx/2 Tx ARINC-717 Selectable Channels (Each 717 Rx/Tx Replaces Two 429 Channels). Included: Thumb Screw SCSI I/O Connector (Must Use -T Series Mating Connector) and AltaAPI Software. PMC-A429-30-T PMC with 16 Shared Tx/Rx Channels and 14 Rx Channels of ARINC-429 and 4 Rx/4 Tx ARINC-717 Selectable Channels (Each 717 Rx/Tx Replaces Two 429 Channels). Included: Thumb Screw SCSI I/O Connector (Must Use -T Series Mating Connector) and AltaAPI Software.